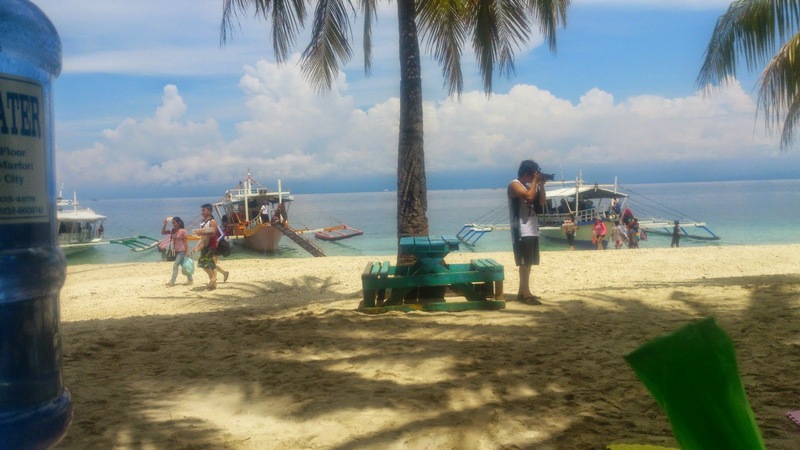 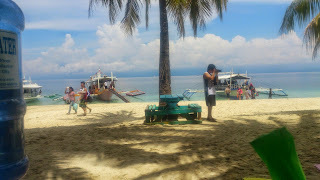 This is my first time to ever experience an Island Hopping in Samal Islands and also my first to go out for a beach after August of 2013... I was praying for safety and endurance for the past weeks and I thank God He answered my prayer. 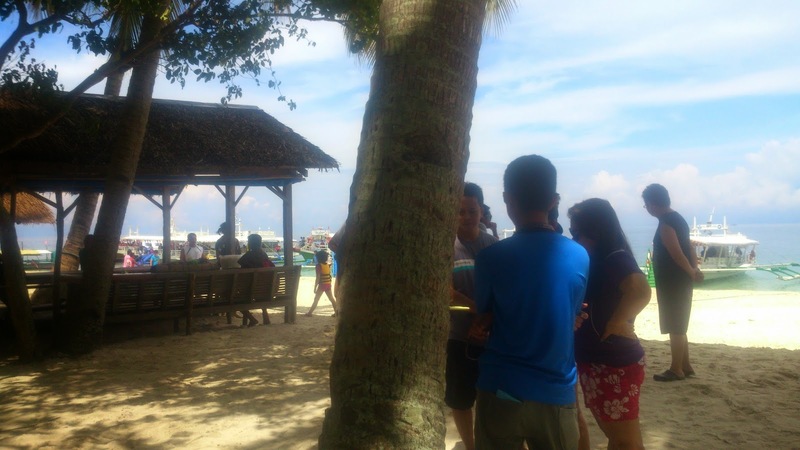 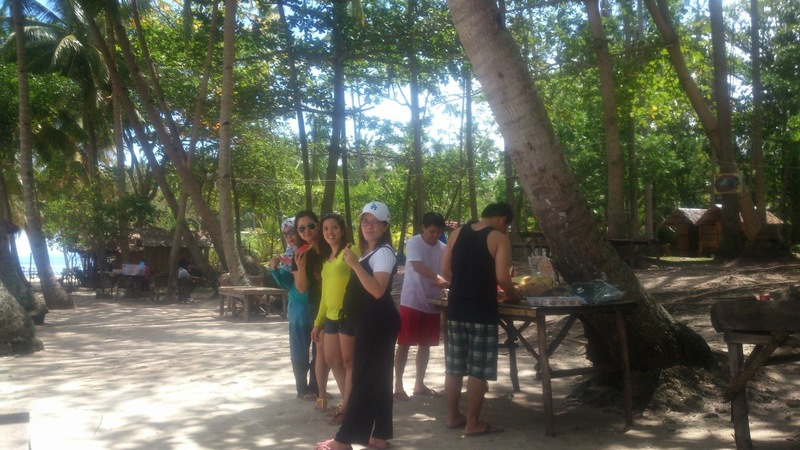 Our first stop was Angel's Cove for swimming, then Babu Santa for Lunch, pass by on other resorts in Talicud Island and also Samal Island, forgot all the names tsk! Also pass by in Pearl Farm Beach Resort and Wishing Island. 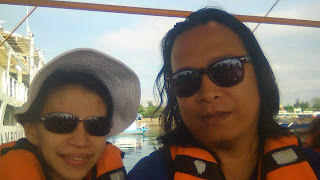 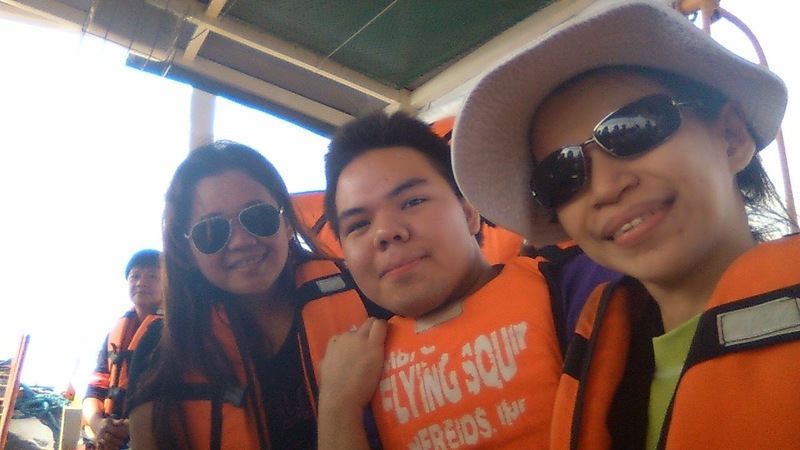 at the boat called "Flying Squid"